DETROIT/ORLANDO (Reuters) -- A fourth traffic death in a Honda Motor Co. car has been linked to a defective airbag made by Japanese supplier Takata Corp., according to a county medical examiner in Florida. Hien Tran died Oct. 2, four days after her red 2001 Honda Accord sedan struck another car in Orlando and the air bags exploded, sending shrapnel at the 51-year-old woman, according to the Florida Highway Patrol crash report and Orange-Osceola Chief Medical Examiner Dr. Jan Garavaglia. Tran may have survived those injuries, the medical examiner said, but she also suffered serious injuries to her head which were not caused by the airbag shrapnel. Garavaglia said in an interview that shrapnel came "tearing through" the airbag and hit Tran, causing "stab-type wounds" and cutting her trachea. "We connected the air bag to the lacerations of the neck," Garavaglia told Reuters. "That contributed to her death but she has other trauma." Garavaglia said the "devastating" neck injury suffered by Tran was not typical for what is seen when an airbag deploys in an accident, but added Tran may have survived if that had been the only injury suffered. Garavaglia's office has not released the final autopsy report. Emergency medical workers and firefighters at the accident scene said Tran "had 2 or 3 deep cuts on her right side of her neck that were not consistent with crash injuries," according to the crash report. The report notes Tran was wearing her seat belt and there were no broken windows. 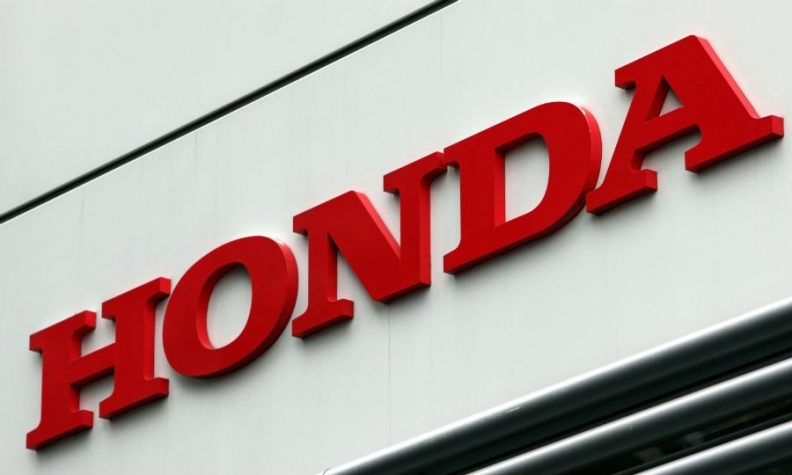 Honda spokesman Chris Martin said the Japanese automaker just heard of the accident on Thursday. "We have not been formally notified, and have not had an opportunity to perform an inspection of the vehicle," he said. "Thus, it is too early to draw any conclusions. We are now looking into this crash." Takata's U.S. spokesman, Alby Berman, said the company was not aware of the accident and would support Honda's investigation. Officials with the U.S. National Highway Traffic Safety Administration said they are in contact with local authorities and Honda about the accident and "will take appropriate action to protect consumers." NHTSA is investigating whether Takata airbag inflators made between 2000 and 2007 were improperly sealed, which could lead to the bag inflating with excessive force and potentially spraying metal shrapnel at occupants. That investigation has focused on inflators recovered from cars being recalled for repairs in hot and humid places like Florida. Takata is cooperating with that investigation along with nine automakers. More than 16 million vehicles globally have been recalled for defective Takata airbags since 2008. Two of the fatal accidents previously linked to Takata air bags occurred in 2009 and a third took place near Los Angeles last year. In 2008, Honda recalled a small number of 2001 model year Accord and Civic cars because the driver's air bag inflator could produce excessive internal pressure, possibly causing the part to rupture and spray metal fragments. It widely expanded the recall several times in subsequent years. Tran's fatal accident was earlier reported by the Orlando Sentinel.